Jack's standing in the sailor suit. Just look at that face! My Uncle Jack died this week. 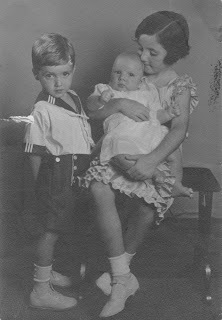 He was the last surviving sibling of that generation of Berrigans, outliving his sister (my mom) and brothers Gerry and Don. This is hitting me hard. For one thing, he was an incredible person, and the world needs incredible people now more than ever. For another, it reminds me that I am older, now, than he was in most of my fondest memories. It is the end of an era, and the end of the next era is coming along at lightning speed. He was also something of a rascal. Agnes, the Irish girl who worked for the Berrigans, was always tut-tutting about young Jack and his exploits. She would be quite open about it: “Jack is a baaad, baaad, boy!” she would intone in her thick brogue. Even as a child, I was very curious about why, exactly, that little boy was considered “bad.” He sounded like fun. Later, Jack enlisted in the Marines during the height of the Korean War. Mass casualties were happening daily. Jack made instant, close friends in boot camp. He stayed on at Quantico for an extra month for officers’ training. By the time Jack reached Korea, his best buds were all dead. Jack fell in love with beautiful Betty Ann Doyle (a ringer for Mary Tyler Moore), and they were married. 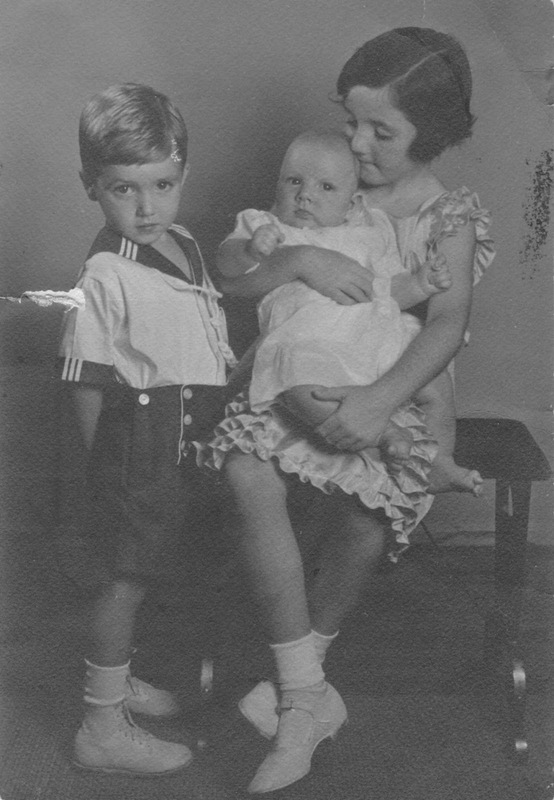 They had two children, Caryn Rose and Brian, lived in Larchmont, NY, and Jack commuted to Grand Central every day on a train. He and his brother Gerry ran Berrigan and Berrigan Insurance in Manhattan. Gerry was Mr. Inside; Jack was Mr. Outside in that partnership. Together, they were an amazing team. Jack may not have been the tallest man on earth, but he had a towering personality, and an incredible sense of humor (read: sarcastic and a bit sardonic. I thought he was hysterical). He was the very definition of devotion: to his wife, to his kids, to my Grandma, who he adored. One by one over the years, he lost his parents, siblings and wife. Jack kept going, but clearly a large part of his heart was in Heaven. And now, finally, he is reunited with them all. But in my mind, Jack will always be my handsome and charming young uncle. 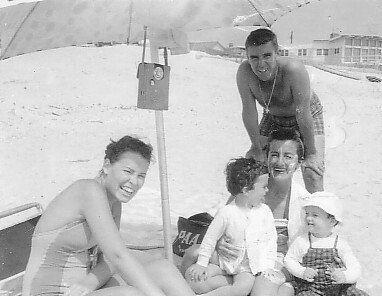 He forever stands in Grandma’s living room, regaling us with hilarious stories about his day in the city, and about his larger-than-life father, Grandpa Berrigan, still the undisputed head of the family, many years after his death. It is early evening in Larchmont, and soft dusk is settling over the manicured suburban lawns. It is almost time to turn on the lights, but not quite yet. Even as a child, I don’t want these precious moments to end. But I know that now, it’s time. Lamps on, at last, to light Jack’s way home. As a child and, later, as a parent, I certainly bought into Disney as far as cartoons and movies went. I, too, was scarred by the death of Bambi’s mom. My son Patrick was equally traumatized by Mufasa’s demise in The Lion King. On a brighter note, the various young Disney ladies evolved over time, I was glad to see, from mind-numbingly vapid Snow White, to smart and spunky Mulan. So what’s my problem with the other elements of the Disney über-franchise? Super-commercialization and infantilism! Slap “Disney” on anything from a pencil to a hotel, and the millions will flock. Maybe (probably) I’m just jealous. My husband and I have a children’s theatre company, and we can’t even GIVE our T shirts away! Also, I have relatives who count the days between their Disney cruises—and they don’t even have young children! I had adult neighbors in Pennsylvania who went to Disney World so often that they ended up MOVING TO ORLANDO. When my five kiddos were young, many of their buddies took regular Disney vacays. I recall volunteering in the elementary school library, working between two major Disney-istas. “What time did you get in line for the character breakfast?” “How close should we stay to the park?” These full-grown adults gleefully traded info like baseball cards, planning their Trip #12. Excuse me, but isn’t there a beautiful country and planet to explore? Do you need to spend your saved-up cash to tour the “Small World” exhibit, when all around you there is an actual world to see? My offspring would, on occasion, ask why we never went to Disney. My stock response? “Let’s go to REAL places when we get the chance!” And, since we actually did that, the Seyfried children were content. 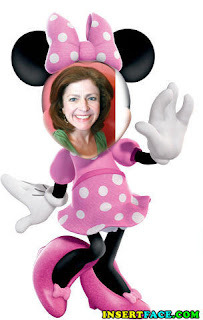 The closest I got to a “Disney” experience was a conference I attended in Anaheim, California a few years back. One evening, the conference leaders arranged shuttle buses for us to visit Disneyland and enjoy the nightly fireworks. See, where I come from, there has to be a compelling reason for Roman candles and sparklers! Like the Fourth of July! But Chez Disney, the extravagant displays go off like clockwork every 24 hours, thus rendering them ho-hum (at least to me). I ended my evening drinking a Heineken beer in a park restaurant, grateful not to be limited to non-alcoholic Ariel Ale and Belle Brew. Walt himself was, by most accounts, a temperamental and complex man, whose after-death wish was to be frozen, in case he could, one future day, be thawed. See, that’s what I’m talking about! A three-dimensional person—not the nicest guy, granted, but REAL. So, when I play the “who in history would you like to meet” game, I may opt for Mr. D, founder of the wholesome and wide-ranging empire that bears his name. Over a beer in the Magic Kingdom, maybe he’d tell me why almost none of his cartoon heroes have living mothers. I mean, what the actual heck? This phrase (standing in the gap) came to me out of the blue this morning. I have never said this before, and I had to look up the Biblical reference. It seems the Lord God was giving the prophet Ezekiel quite an earful, denouncing the faithless leaders of the time. The Lord couldn’t find anyone who would stand up before him, and try to repair what was broken. Checking into it further, I learned that to “stand in the gap” has come to mean praying on behalf of people who cannot or will not pray for themselves, to act as an intermediary, interceding with God for them. Do I do that? I’ve certainly prayed on behalf of my kids when they were sick or hurt. I prayed for my mom on her deathbed, when she had no words of her own left. Nowadays, I find myself praying the news, asking God to help with what seem to be some hopeless situations. But it’s the first part of the Ezekiel verse that brought me up short. Seems it’s not enough to just pray about things—we are required to do something to fix what is wrong. And that is where the rubber meets the road. I can be on my knees 24/7, but it’s when I get up and take action that God’s work gets done. To stand in the gap for innocent children who are being mistreated takes more than a few mumbled words. To stand in the gap for the mentally ill who are struggling means being an advocate, working to get them help. We worked on this house in Texas (photo from the flood last August) with some amazing volunteers. Prayer plus action is bridging a gap! I am in no way discounting prayer; I have known it to be a very powerful thing, conversing with God, opening my mind and heart. I truly believe that my prayers are heard. But I also believe that God expects something of me, of all of us. It can be really challenging to figure out just what that something is at times, but we need to make that effort. To stand in the gap, but then, to get moving. To try our best to be God’s hands and feet. Our loving actions on behalf of others ARE prayers, beautiful partnerships with the Divine. Offering our “thoughts and prayers” as so many do these days when disasters strike, has become pretty meaningless, if no attempt is made to better the situation. We are called to not only stand in the gap, but to walk boldly and confidently forward in this broken world, using every tool we possess to repair the damage all around us. I believe that every step we take brings us closer, both to each other, and to the One who made us. Together, I feel certain that we can bridge every gap that separates us.